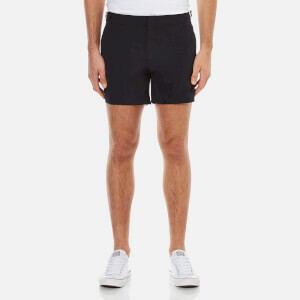 Men’s black swim shorts from Lacoste. Crafted from cotton blend taffeta, the short cut swimming trunks are lined with mesh fabric for comfort and feature an elasticated waistband with an adjustable drawstring. 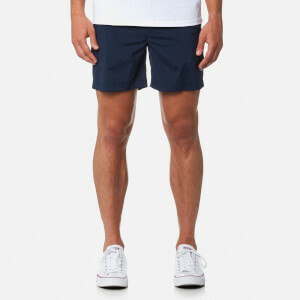 Complete with side slash pockets and the iconic embroidered crocodile logo on the right leg. Main Fabric: 77% Cotton, 23% Polyamide. Mesh Lining: 100% Polyamide.